For some data models, it is fine to model data with embedded documents (de-normalized model), but in some cases referencing documents (normalized model) is a better choice. in a separate collection in another database. Manual References are used to reference documents either in the same collection or in the separate collection in the same database. The parent documents are referenced via the value of their primary key’s _id field. 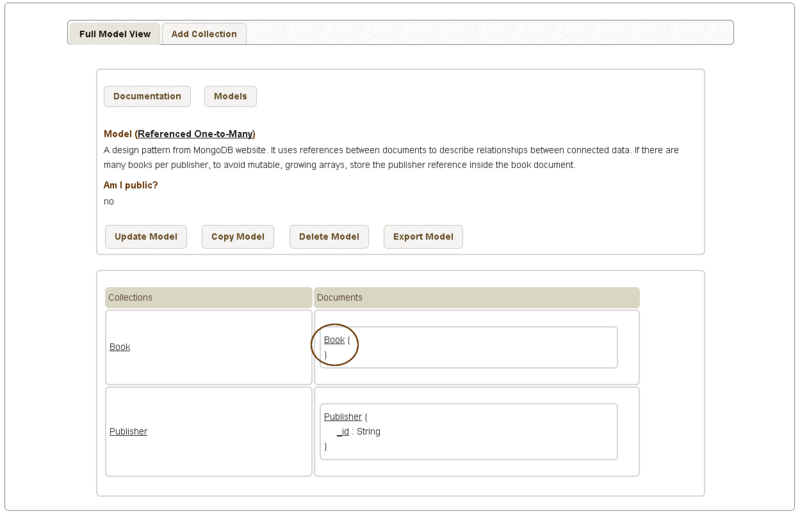 Database references are references from one document to another using the value of the referenced (parent) document’s _id field, its collection name, and the database name. In this part of the series we will look at the Manual Reference only. The second part will provide insights into DBRefs. 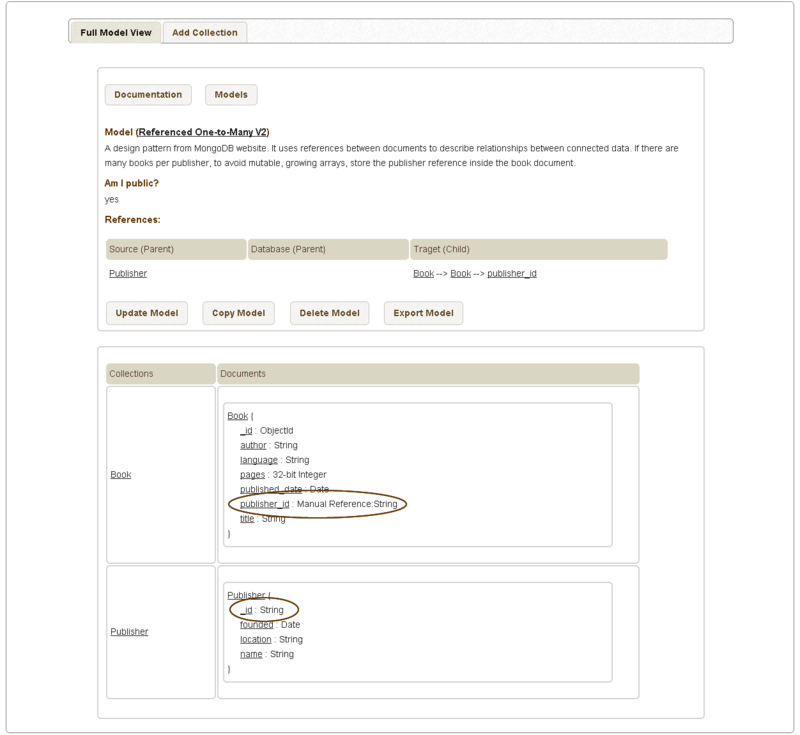 The Manual Reference MongoDB type indicates that the associated field references another document’s _id. The _id is a unique ID field that acts as a primary key. Manual references are simple to create and they should be used for nearly every use case where you want to store a relationship between two documents. 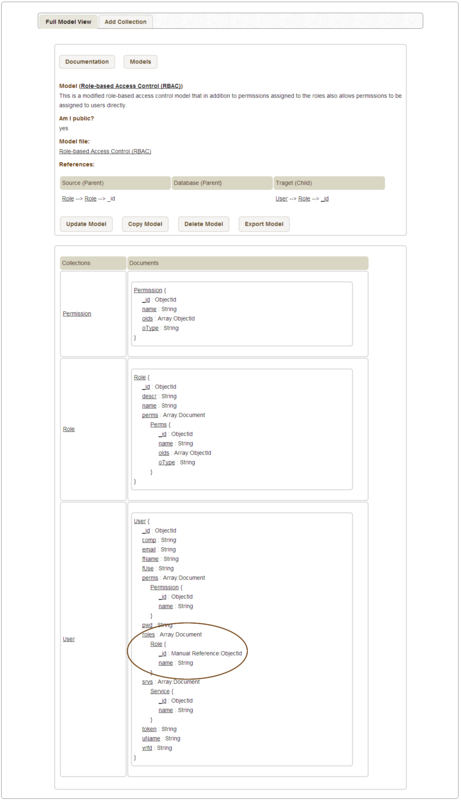 Publisher‘s id is of type String and it is referenced in the Book document by the publisher_id field of the type Manual reference:String. 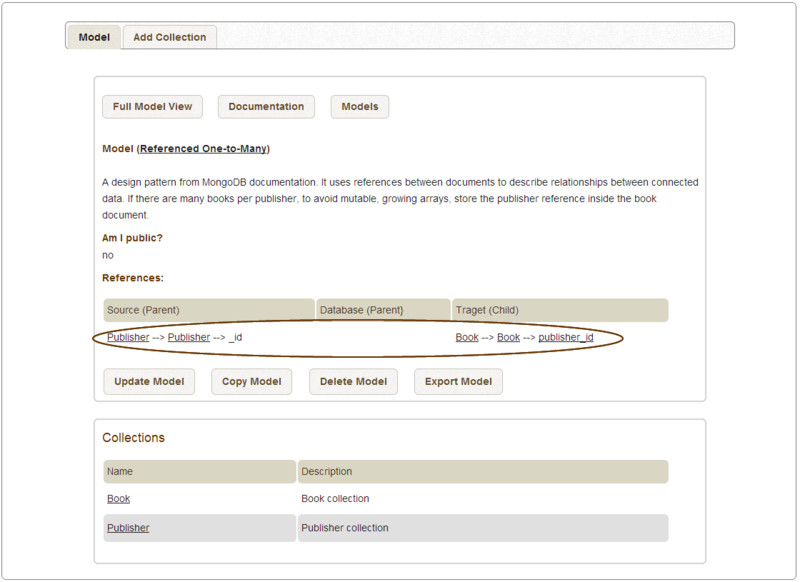 This means that the values of the publisher_id field will be referencing the values of the Publisher document _id field. Now, we will demonstrate how we created this model in M2. We will concentrate only on the Publisher and Book collections creation and the creation of their relevant fields (_id and publisher_id) for this example. Also create the Book collection. The References section of the page (please see above) lists the reference that was just created. 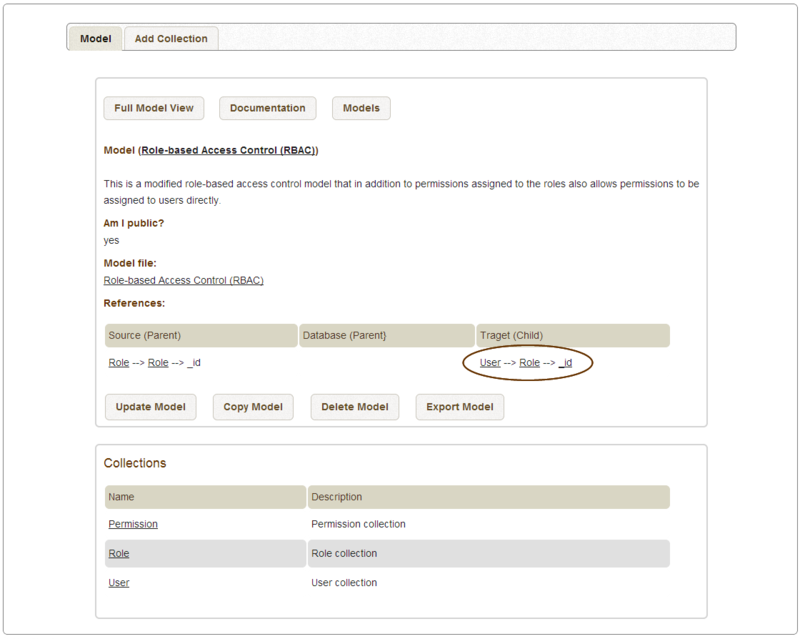 Both the Source (Parent) and Target (Child) column has the format: Collection –> Document –> Field. 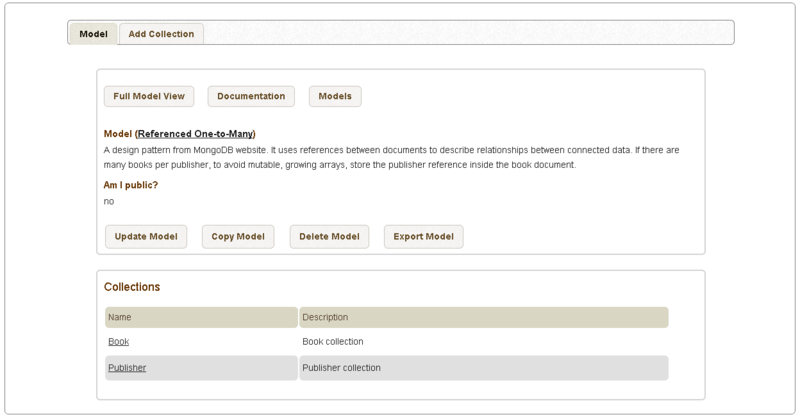 For example, the Target (Child) column contains the Book –> Book –> publisher_id value which means that Book is the target (child) collection and publisher_id is the field in the Book document of the Book collection whose value will reference the _id field value of the parent Collection (Publisher) document. The Database column is reserved for DBRefs only.